Grew Up... in a middle-class, loving family consisting of his parents and younger sister. Light’s father is head of the Tokyo Police, so Light developed a keen sense of justice from an early age. It has only strengthened since. 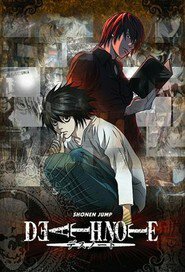 Living... in Tokyo with his family, where he balances life as a high-school senior and his responsibility as wielder of the Death Note, a supernatural notebook that allows its owner to kill anyone, provided they know the victim's name and face. Profession... high school student, though he mainly stares out windows during class. Not that Light is a slacker – the complete opposite, in fact. He’s already one of the top students in Japan, so there's really no point in paying attention to his teachers. It’s more important to plan how to create a new, crime-free world by killing off anyone he judges to be unworthy. Interests... studying, helping his younger sister with homework, and creating a new world free of evil with the help of the Death Note. A serious student, Light might not have a lot of interests, but that last one takes up a lot of time. As Light himself says: "This world is rotten, and those who are making it rot deserve to die. Someone has to do it, so why not me?" With such a starting place, Light has a lot of work ahead of him – and a lot of people to kill. Challenge... keeping his identity as “Kira” a secret from the police. Light’s use of the Death Note has led to the spate of deaths among criminals, and while the police might appreciate Light’s motives, they wouldn’t approve of the method. Light's an intelligent teenager, so the manhunt for Light/Kira isn’t initially isn't much of a problem. But when Interpol sends the mysterious super-sleuth L after him, Light may have met his match. Personality... intelligent, charming, and manipulative. At first glance, Light might seem like your average overachieving, hyper-responsible teenager – and to most, that's all he is. Beneath this polite veneer, however, lurks a darker personality, one whose clashing high ideals and cynical disgust cause him to adopt extreme methods. With the Death Note, Light declares that he is "going to change the world" – and he plans to do so by any means necessary. Despite his lofty goals, he can be cold and arrogant. Light Yagami's popularity ranking on CharacTour is #186 out of 5,000+ characters. See our top-ranked characters and read their profiles.